The Show External Links looks for all external links and highlights the anchor text in the WordPress. Only works for the administrator. 1. Download the Show External Links plugin. 2. Upload the unzipped plugins to the /wp-content/plugins/ folder. 3. Login to the WordPress and activate the plugin. Done. 4. 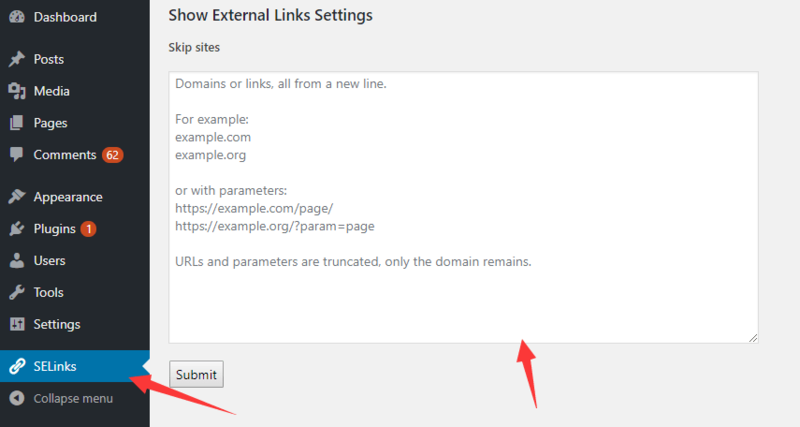 You can also specify the URL links to ignore in the Settings page.